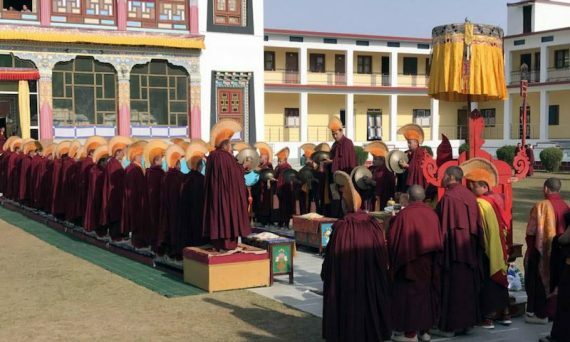 The monks of Mindrolling Monastery perform the annual ritual dance of Tse Chu which was first introduced in the 17th century by the founder of Mindrolling, Terdag Lingpa. 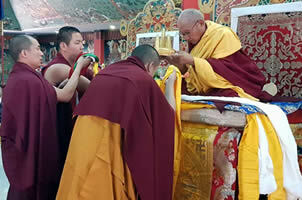 The entire Mindrolling Sangha and numerous guests offered a tenzhug to His Eminence Khochhen Rinpoche on March 29th. 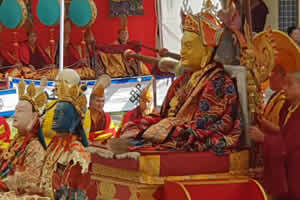 A magnificent beginning to the New Year of the Earth Dog has unfolded at Mindrolling Monastery. Stories, photos and video from the Thugje Chenpo Drubchen, the 10th anniversary of the parinirvana of Kyabje Mindrolling Trichen, the Yamantaka Drubchen of Shinje Drekjom, Venerable Dagpo Rinpoche, the appointment of new kenpos and lopöns and the Mindrolling Retreat for Western sangha members led by HE Mindrolling Jetsün Khandro Rinpoche. will teach in North America.